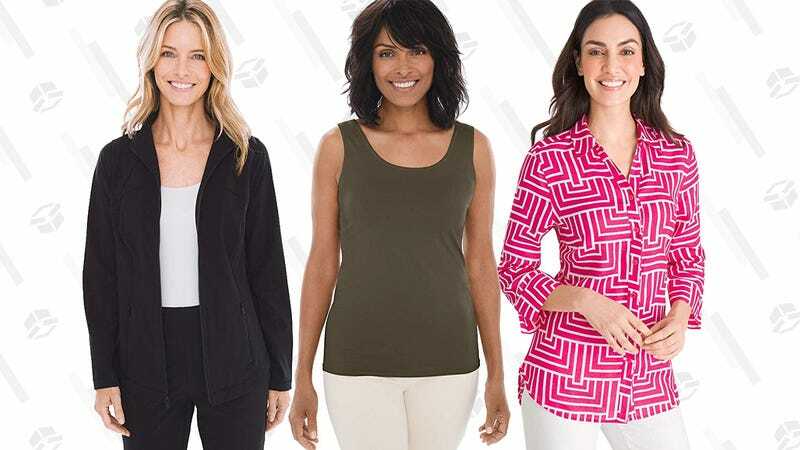 Today only, Amazon is discounting a bunch of women’s Chico’s apparel. Prices start at $14 and go up to $50. And while I can’t say I’m an expert at women’s clothing, I think these look fine? Like, the women wearing these pieces look comfortable. I really don’t think I’m qualified to talk about fashion, I’ve been wearing non-stop black shirts, underwear, and sweaters for the past 3 months. But, hey, these tops and pants are cheaper today. So, I’m almost certain that’s a positive.